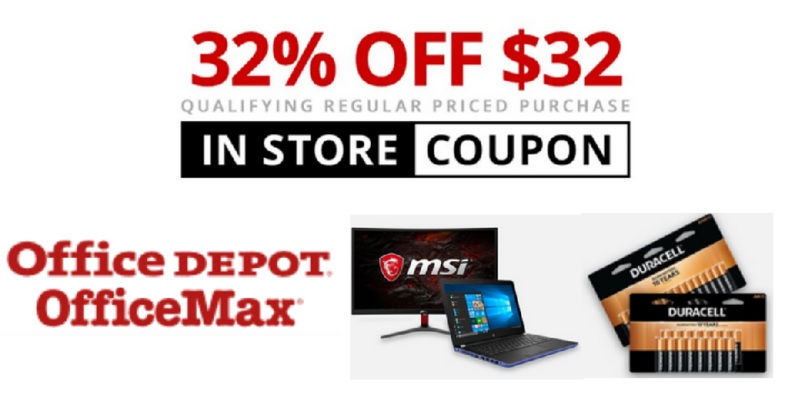 Head over to Office Depot/Office Max where you can save 32% off a $32 regular price purchase with code 82427957 at checkout. If you prefer, you can print the coupon to shop in-store. Offer valid through today 10/27. Some exclusions apply.